There’s a new celeb couple in town, and it might surprise you. On the other hand, nothing really surprises us anymore. 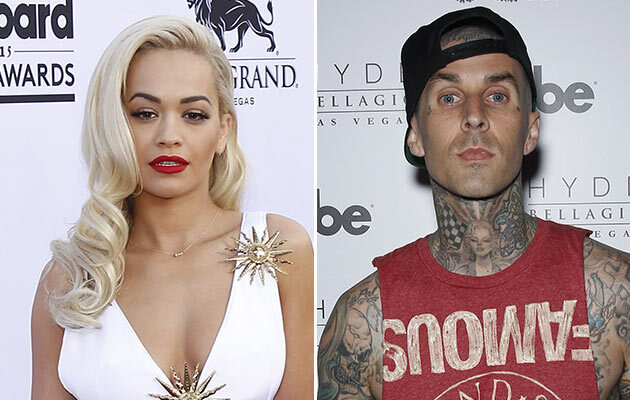 Pop singer Rita Ora and Blink 182 drummer Travis Barker are reportedly dating! But if you think their dating game is chilled and not serious, we hope you didn’t bet any money on it. Allegedly, things are getting pretty hot pretty quick. The new couple met at the Power 106 All-Star Game on September 20th in LA, and they have been seen together on various occasions. Some insiders even claim that they have been spending every day together since. During the game, the “I Will Never Let You Down” singer noticed Barker, and went to him to introduce herself. According to insiders, the pair bonded over their love for music. A source close to the rocker revealed that Travis is “really into Rita,” because he usually “likes interesting women, and she’s also beautiful.” Will this blossoming romance last or will it end up just as another celebrity hook-up remains to be seen. Barker was previously linked to UFC ring girl Arianny Celeste. He was also married, to Shanna Moakler, from 2004 to 2009. He shares two children with Moakler, 11-year-old son Landon and 9-year-old daughter Alabama. Ora recently split from Ricky Hilfiger, with whom she had been in a relationship with for over one year, due to their busy schedules. Calvin Harris Reveals His Hot Six-Pack Selena Gomez Still Can’t Resist Justin Bieber Say It Isn’t So!! Is Gwyneth Paltrow Hitting the Road with Coldplay?! Amber Heard and Johnny Depp: “We’re NOT Pregnant!” Lindsay Lohan Reveals She Had a Miscarriage Kimye To Get Married This Week? !